We're well into 2019, and we are already loving what we're seeing what our homeowners are doing "inside" their brand new homes! To give a little insight at what's hot this year, we turned to a well-respected, experienced interior designer to tell us what she expects to see in 2019. Trisha Lee is the owner of LoveLeeHomes in Wichita, Kansas, and she lists some of the hottest trends of 2019, what's here to stay, and what's making a comeback. Trisha says incorporating different types of natural materials like wood, stone, wool and jute will make your home feel organic and cozy. "Different materials and textures help to really bring a space together, and frankly people need them to feel grounded in their homes. Large windows are also a great way to connect the outside to the inside and well, what's closer to nature than being outside!" 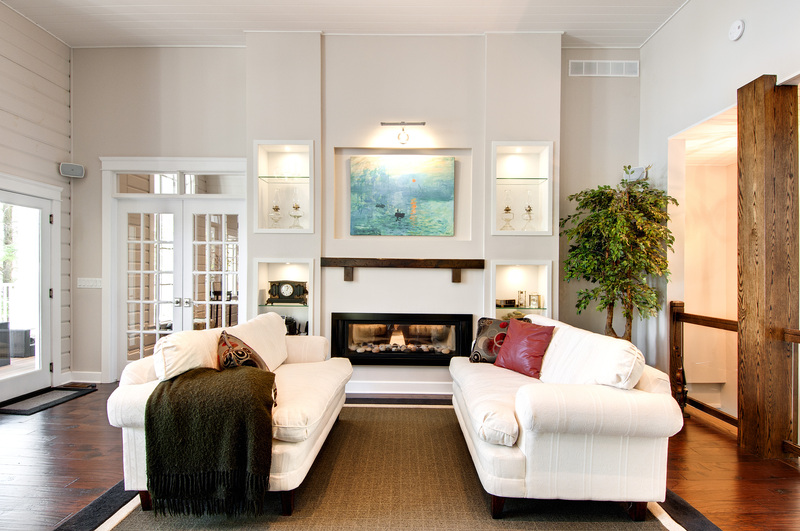 When it comes to color schemes inside, we've seen plenty of grays and whites. Trisha says this year, you can expect the warmer neutruals to step up. 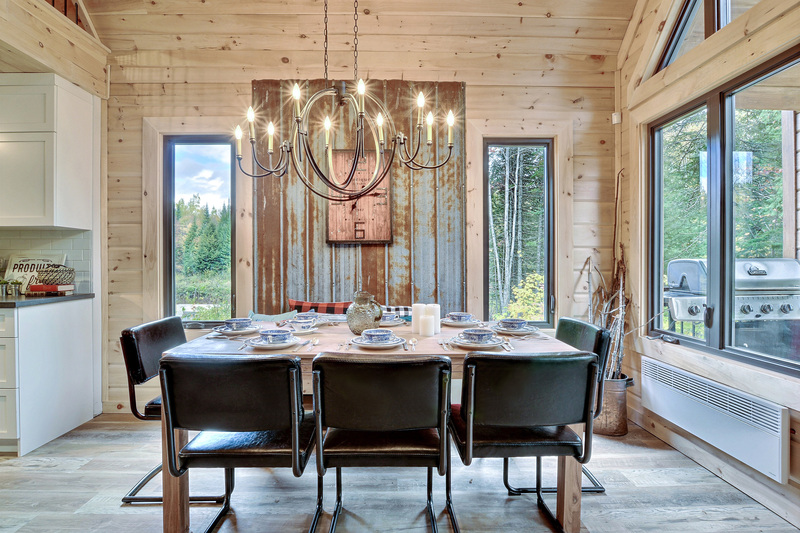 She says adding some drywall mixed in with your wood walls and floors may be something you'd consider, as it gives you some freedom when it comes to choosing your furnishings and art. "You can really make a statement with textiles, art and accessories in colors like bold emerald green, mustard yellow, indigo and dark peacock, which are very popular." Many Timber Block homeowners have added a "feature" wall in the past. Trisha says that trend is here to stay, but would opt for large, over-sized art, " When I say large, I mean HUGE, just shy of floor to ceiling! It can really make a rich statement in your home and give you that polished, high-end designer look. It also can take the place of unnecessary furniture cluttering up your space." Just like your wardrobe, home design trends always come and go. Trisha says these days she's seeing a lot of re-purposing of furniture from the past. "Polishing up an old dresser and re-purposing it into a sofa table or buffet will be a beautiful addition especially if it has clean lines and function." Trisha adds velvet pieces have made their way back as well. "I used to recall them being "old-fashioned", but now they add a touch of luxury and flair!" One of the continuing trends from last year are light wood floors. Trisha says she feels people love the brightness and airy feeling they provide. "Plus, they do have an added bonus: they don't constantly look dirty/dusty like darker floors." 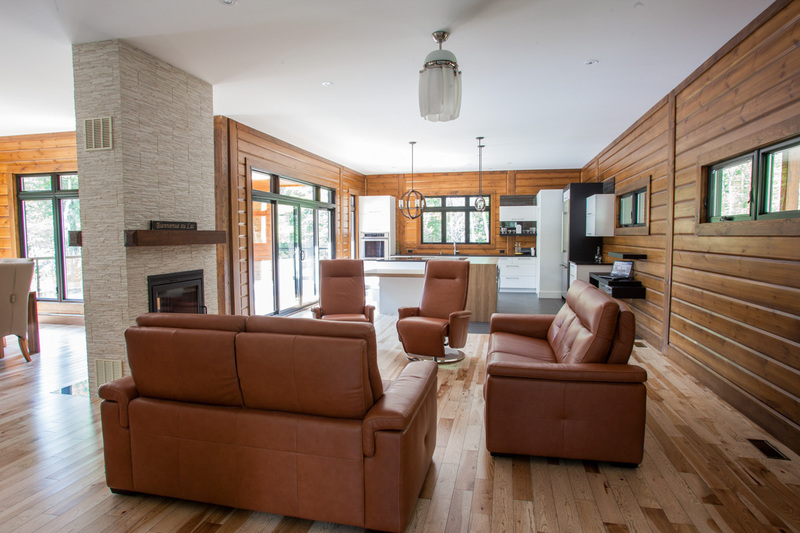 Timber Block homeowners care deeply about sustainability. We asked Trisha if she sees sustainability in interior design in 2019. "Sustainability is VERY "in style!" I think it's important to have foundation pieces in your home that have longevity; that are timeless, such as a good sofa, bed, or dining room table. Knowing it's something you love and will have for a very long time speaks directly to sustainability. Layering in accessories like plants, pillows and rugs (made from natural sources) are a great way to continue on that track!" Trisha has one final tip for those building in 2019. "I'm a big fan of black and white. The combination is timeless. It provides contrast and drama. You can incorporate it if you are a minimalist or a maximalist. It always works." 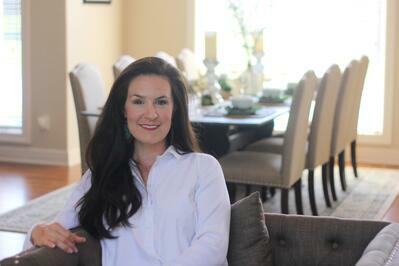 Trisha Lee is the owner of LoveLeeHomes. Her company provides both interior design and home staging services in the Wichita area since 2014. 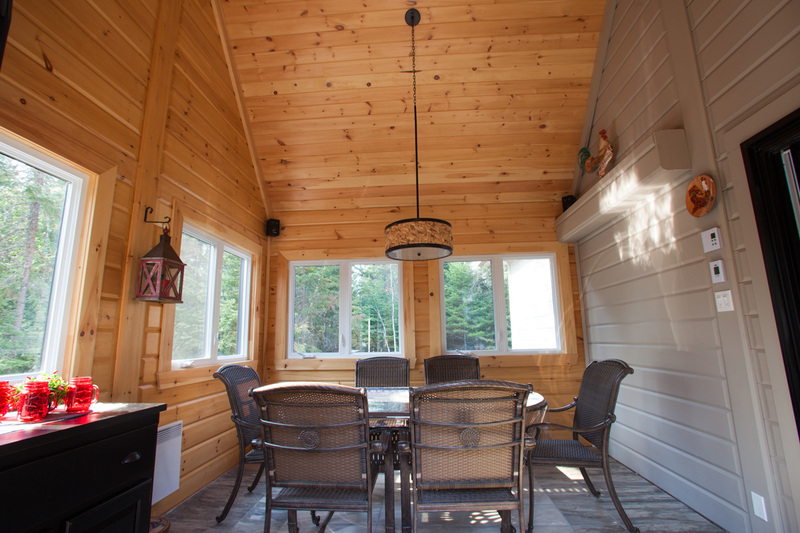 To learn more about Timber Block, or to contact a Home Consultant, click below.